Catriona Ward will be appearing at the Finchley Literary Festival. Trinity Church Centre, 15 Nether Street, N12 7NN. Born in Washington DC, Catriona Ward spent most of her childhood and adolescence in various locations around the world: Kenya, Madagascar, Yemen and Morocco. 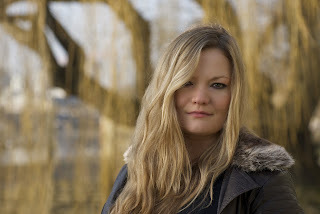 She studied English at Oxford and obtained a Masters in Creative Writing at the University of East Anglia. Alongside her love of books and writing she trained as an actor in New York. Catriona now lives in London and works for Bianca Jagger’s human rights foundation. Rawblood is Catriona's first novel and was inspired by the summer holidays she spent in a 17th Century stone cottage on Dartmoor. During her time there she experienced a ghostly presence in the bedroom and this fuelled her imagination, providing the background for the story. These experiences also raised the question in her mind of what the ghost wanted; of what any ghost wants from those it haunts. She says that, “Traditionally there is some revenge to be enacted, some mortal task left undone, some corpse unburied. But perhaps ghosts are driven by something entirely other.” (Weidenfeld & Nicolson). Catriona has given the ghost in Rawblood an exceptionally good reason for its actions and finds storytelling a good way to express the fear she experienced at the cottage. 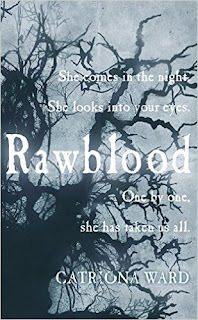 For a debut novel, Rawblood reads as though written by a much more experienced writer. It is well plotted and beautifully scripted. Intravenous Magazine says it "utilises all the expected conventions of the genre but remains an original and compelling read". We wish Catriona the best of luck with the book and look forward to reading her next novel which she is currently writing. 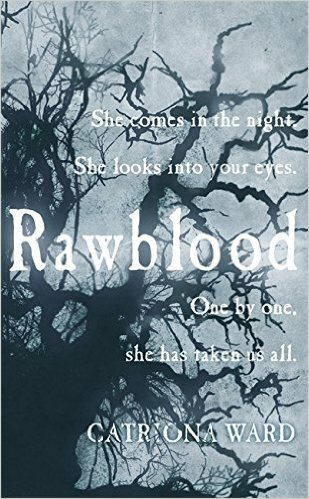 Read Greenacre Writers' review of Rawblood. About six years ago I started writing Rawblood. I don’t have a cupboard full of discarded novels – I was possessed by one idea, by this world and its characters, and I worked furiously and probably quite obsessively during evening and weekends. Later, I decided that I had to commit to it seriously, and I enrolled on the Creative Writing MA at the University of East Anglia. Much of the novel was completed over the course of that year. Rawblood was inspired by uncanny events in my childhood, at a cottage we went to every summer on Dartmoor. I was haunted by a furious, malign presence, which would push me out of bed each night. I have described it in more detail here. These encounters produced a deep irresistible fear, a unique calibre of feeling that only occurs when one brushes lightly against the unknown, the dark. There is nothing quite like it – except the feeling you get when you read horror, or ghost stories. The experiences left me with more questions than anything else. I could find no meaning in them. Rawblood began as a way of exploring those questions. What was the presence I felt so strongly in the night, and what did it want, from me or from the world? What order of being was it? I found that as I wrote, the novel transcended its origins and grew. Six years later, Rawblood is about much, much more than my experiences in that house. It was very hard to let the novel go when I finished! But it was also immensely cathartic. And I was lucky to find a wonderful agent, and editor who I trust, which helped me feel confident in releasing it. I love the solitary process of creation. You really can lose yourself in imagined worlds for days and weeks at a time. It’s wonderful, as a writer, to take readers to these strange places. As for the role of a writer… Both writing and reading are powerful acts of empathy. Rawblood is a historical novel, set between 1839 and 1919, but I hope that the concerns of the characters, what drives them and the injustices visited upon them feel very present, and immediate. The ghost story genre and the historical setting are conduits for describing particular human problems. Horror, and ghost stories in particular, are really about human action. Grief, suffering, guilt. Memory. How we process these things, and how we transcend them – or not. Novels should show us back the world, but in unfamiliar patterns of light and shade. I think that’s a good way to see the role of the writer – as a portal to empathy and understanding. And entertainment! The unlikable ones are my favourites. Fiction gives free rein to some very undesirable parts of the imagination! I am very fond of a character called Meg in Rawblood. She is a witch and commits some dreadful acts, including murder. But she’s not motivated by evil. She thinks she’s doing her best for her family. I wrote a lot of Rawblood at my parents’ house on Dartmoor so that has a symbolic importance for me. I’m quite superstitious about it. If I’m stuck, sometimes I go there to free up the imagination. So, there. If I was feeling more adventurous, I would choose a cabin, deep in the plains of Wyoming, under a starry sky. The Sea, the Sea, by Iris Murdoch. 6, What advice do you have for would be novelists? Read avidly, write compulsively. Then rewrite, rewrite, rewrite. It’s worth getting the novel into a really good shape before approaching agents. They’re busy people and a fantastic premise or great character can be obscured by sloppy prose or plot holes. Identify friends who are great readers of your work, or a join a group to workshop your writing. It’s impossible for the author to see the text with absolute clarity. Reader’s feedback is invaluable. If ten out of twelve people don’t understand something you’ve written, it’s probably not working. Enjoy it! Writing is such a great pleasure. I have a two novel deal with Weidenfeld & Nicolson in 2017, so I’m working hard on the second one... It’s about a woman who may or may not have killed all her family, in a famous massacre at a remote Scottish castle, on New Year’s Eve, 1928. If Rawblood is a hymn to the Gothic novel, this one has its ancestry in the golden age of the murder mystery. I love the subtlety and agility of murder plotting. The 1920’s is such an exciting time to write about, too – full of change and rapidly shifting morals. I’m finding it all very exciting! This is a fascinating glimpse into the creative imagination and its processes. Can't wait to read the second novel by this very talented author.